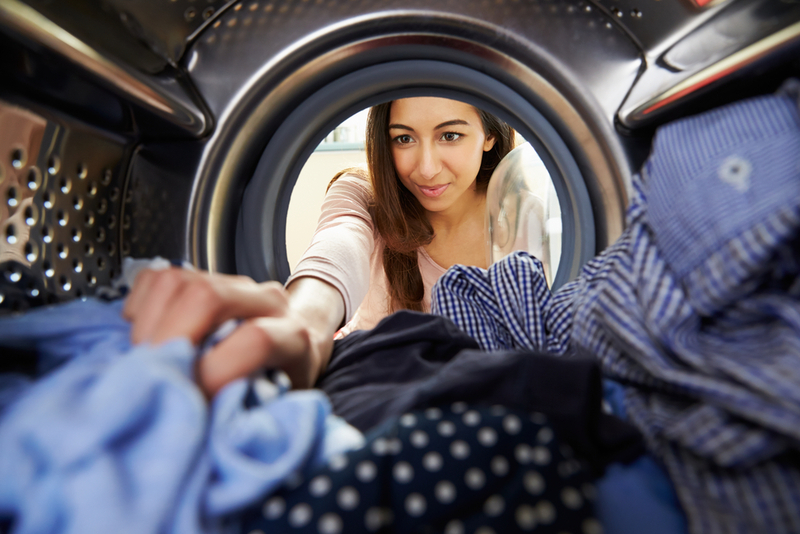 There’s a less-than-obvious fire hazard in almost every home, lurking in your laundry room. It’s the dryer vent. As time goes by, your dryer vent slowly fills with lint passing through your dryer’s lint trap. Fires can occur when lint particles build up in the dryer or exhaust duct. Lint blocks the flow of air and causes the build-up of excessive heat, which can result in a fire. In fact, the Consumer Product Safety Commission estimates that more than 15,000 dryer-related fires occur each year, causing $97 million in property loss. What can you do to protect yourself and your family from a dryer vent fire? Clean the lint trap before or after drying every load of clothing. If clothes are still damp at the end of a drying cycle, or if drying requires longer times than normal, you may have a blockage in the exhaust duct. Clean the dryer vent and exhaust duct at regular intervals. I suggest putting this task on your spring and fall home maintenance checklists. Check the outside dryer vent to ensure air is escaping properly. If you discover a blockage in the exhaust duct, disconnect the duct from the dryer, remove the blockage and then reconnect the ducting to the dryer and outside vent. Clean behind the dryer. Lint commonly builds up in this area. Hire a qualified technician to clean the interior of the dryer chassis periodically to minimize the amount of lint accumulation. Turn off the dryer when you leave your home. Ensure your dryer is plugged into a suitable outlet. Overloaded electrical outlets can result in pesky blown fuses. Have your gas-powered dryer inspected periodically by a qualified technician to ensure the gas line is properly connected and free from leaks. I’ll include a dryer vent check in my fall home maintenance checklist in just a few short months. If I can serve your real estate needs in any way, or if you know someone who would benefit from my professional expertise, reach out to me anytime via email or phone: (512) 694-9769.